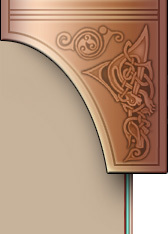 Beautifully designed and illustrated books decorated with Celtic art borders - from lined and unlined blank books to a collection of border parts in sections that you can use to lay out Celtic knotwork borders and frames for projects of your own. 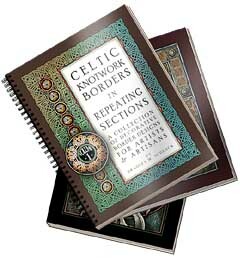 The blank books, with their Celtic borders and ornate title pages, make wonderful sketchbooks and journals - and the book of Celtic knotwork patterns gives you a set of resources you can use in your own artwork. Learn more about the books, or find out who the artist is.